“What is your favorite candy bar?” That was the question posed on Facebook last week as we spiraled down to Halloween with visions of — not sugarplums — but sugar in our heads. That got me to thinking. When I was a little girl, I didn’t eat much candy at home because my mama always had a chocolate cake baked, and I could eat two or three slices at one time, sometimes with canned peaches on top, sometimes with a glass of milk. 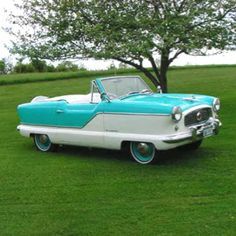 When I visited the grandparents during summers, though, it was an afternoon treat for all the kids to get in Papaw’s old aqua and white Nash and drive up the dirt road to Old Man George Smith’s Store at the intersection of Highway 495 and the old Meridian highway, both dirt with washed-out ruts. I don’t know whether George was old or not, but my grandfather always called him Old Man George Smith. Some of my favorite candy bars came from Old Man George Smith’s Store. It was a country store, made out of raw wood with raw wood floors and a squeaky front screen door and a side door that stayed open. I think even as a child, I liked the contrast of the blackened, weathered wood and the sweet, sugary candy bar treats. Old Man George Smith’s was where I learned to like PayDays, Zero bars, and Hollywood bars. To this day a PayDay, caramel nougat coated in peanuts, and an ice-cold Coke pop in my mind when I stop for gas on a trip. But today’s ice-cold Cokes are not the same as yesteryear’s Coca-Colas in glass bottles stuck down in a red chest full of ice. Today, I can barely tolerate a Zero candy bar — caramel and dark nougat covered with white fudge — because it is so sweet. Still it’s the only white candy bar. 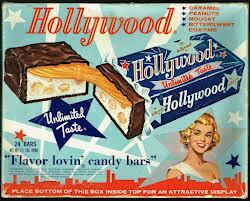 And then there was the Hollywood candy bar. A fluffy white nougat center with caramel and peanuts and a darker chocolate coating . . . this candy was different and delicious. By far my favorite. After the summer I was ten and had my share of Hollywoods at Old Man George Smith’s Store, I turned eleven on Labor Day and started sixth grade. Sixth graders were allowed to cross the street in front of the school during lunch hour to get candy from a neighborhood market. I walked over there every day and got a Hollywood bar. There was an open-flame gas heater right in front of the checkout counter. I’m not sure why anyone would position fire at the legs of paying patrons, but the owner did, and one day I wore my brand new worsted wool outfit from Kamien’s — plaid in shades of gray, black, and white, with a pleated skirt and a thin leather belt tied across the matching wool top — and the skirt was just below the knees where the fire was, and I smelled something scorching. I smothered the smoke out before the wool burst into flames and consumed me with it. It was scary. And it ruined my new expensive outfit. And my taste for candy. I didn’t go back to the store any more. Hemline styles got a little shorter the next year so Mama hemmed my skirt and I wore it to seventh grade. I also started having pimples, so I quit eating chocolate. For two whole years I did not eat chocolate. And with that set into motion, all through high school and college and even into adulthood, I didn’t eat candy bars. It doesn’t matter, though, because in 1996, Hershey acquired the Hollywood Brands company that manufactured PayDay, Zero, and Hollywood, and discontinued the Hollywood bar. What a shame. It could beat the pants off a Hershey Bar.